Optoma 4K500 Projector 4K-UHD 2160p 3840x2160, 465W Lamp, 5000 ANSI Lumens, HDR10 Compatible, Support HDR BT.2020, UltraDetail, 2.0x Zoom Ratio, V lens shift (80%), H lens shift (35%), Motorized zoom and focus, Dynamic contrast, manual Iris, 2x HDMI 1.4a, 1x HDMI 2.0 with HDCP 2.2, 1x HDMI Out 1.4, 1x Display Port, 1x VGA, 1x RJ-45, 2x 12V Triggers, 1x Wired remote, USB-A(service/power), RS-232, Full function backlit remote, 36 lbs, Warranty: 3-year Warranty Optoma express/ 1year Lamp. OPTOMA Available Request A Quote! 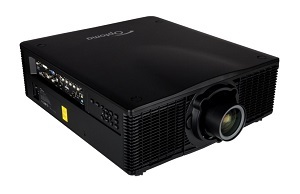 Optoma EH503 Projector 1080P, 5200 ANSI Lumens, 2000:1 Contrast, no lens on base model, V + H lens shift, Full 3D, HDMI 1.4a, DVI-D, DisplayPort, 2x VGA, VGA out, 5-BNC, component (3 RCA), discrete audio in, audio out, 3D sync port, Crestron RoomView, 18.9 lbs, Warranty: 3-year Optoma Express Replacement, 1 Year lamp warranty. ORDER LENS SEPARATELY OPTOMA Available Request A Quote! 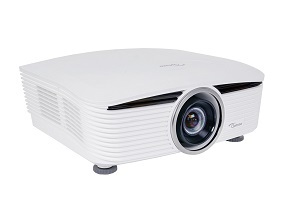 Optoma EH505 Projector WUXGA, 5000 ANSI Lumens, 2000:1 Contrast, no lens on base model, V + H lens shift, Full 3d, HDMI 1.4a, DVI-D, DisplayPort, 2x VGA, VGA out, 5-BNC, component (3 RCA), discrete audio in, audio out, 3D vesa port, Crestron RoomView, 18.9lbs, Warranty: 3-year Optoma Express Replacement, 1 Year lamp warranty. ORDER LENS SEPARATELY OPTOMA Available Request A Quote! 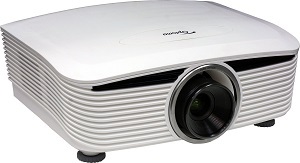 Optoma EH515 Projector 1080p (1920x1080), 5500 ANSI Lumens, 10.000:1 contrast, 1.8X Zoom, H and V Lens shift, H and V Keystone, 4 Corner adjustment, Display port, HDMI (MHL), VGA In/Out, Wired remote, 13lbs, Warranty: 3-year Optoma Express Replacement, 1 Year lamp warranty OPTOMA Available Request A Quote! 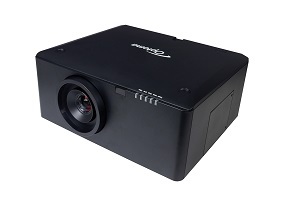 Optoma EH515T Projector 1080p (1920x1080), 5500 ANSI Lumens, 10.000:1 contrast, 1.8X Zoom, H and V Lens shift, H and V Keystone, 4 Corner adjustment, HDBaseT, Display port, HDMI (MHL), VGA In/Out, Wired remote, 13lbs, Warranty: 3-year Optoma Express Replacement, 1 Year lamp warranty OPTOMA Available Request A Quote! ships right away Request A Quote! 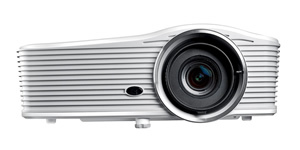 Optoma EH615T Projector 1080p (1920x1080), 6200 ANSI Lumens, 10.000:1 contrast, 1.8X Zoom, H and V Lens shift, H and V Keystone, 4 Corner adjustment, HDBaseT, Display port, HDMI (MHL), VGA In/Out, 3D Sync out Wired remote, 360 degree projection, 14lbs, Warranty: 3-year Optoma Express Replacement, 1 Year lamp warranty OPTOMA Available Request A Quote! 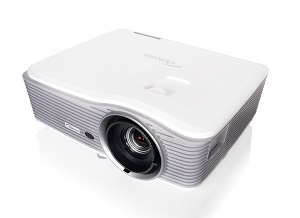 Optoma W505 Projector WXGA, 5200 ANSI Lumens, 2000:1 Contrast, no lens on base model, V + H lens shift, Full 3d, HDMI 1.4a, DVI-D, DisplayPort, 2x VGA, VGA out, 5-BNC, component (3 RCA), discrete audio in, audio out, 3D vesa port, Crestron RoomView, 18.6lbs, Warranty: 3-year Optoma Express Replacement, 1 Year lamp warranty. ORDER LENS SEPARATELY OPTOMA Available Request A Quote! Optoma W515 Projector WXGA (1280x800), 6000 ANSI Lumens, 10.000:1 contrast, 1.8X Zoom, H and V Lens shift, H and V Keystone, 4 Corner adjustment, Display port, HDMI (MHL), VGA In/Out, Wired remote, 13lbs, Warranty: 3-year Optoma Express Replacement, 1 Year lamp warranty OPTOMA Available Request A Quote! 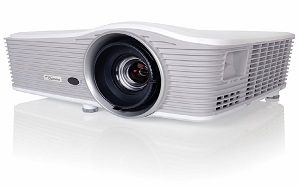 Optoma W515T Projector WXGA (1280x800), 6000 ANSI Lumens, 10.000:1 contrast, 1.8X Zoom, H and V Lens shift, H and V Keystone, 4 Corner adjustment, HDBaseT, Display port, HDMI (MHL), VGA In/Out, Wired remote, 13lbs, Warranty: 3-year Optoma Express Replacement, 1 Year lamp warranty OPTOMA Available Request A Quote! 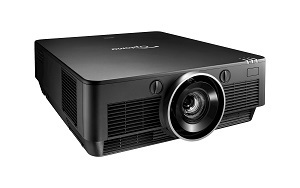 Optoma WU1500 Projector WUXGA, 12,000 ANSI Lumens, 5000:1 contrast, Dual Lamp, Black Chassis, Power zoom, focus and lens shift, Horizontal and Vertical shift, built in blending and warping, supports 360 and portrait mode orientation, LAN, RS232 control, HDBaseT and 3GSDI connection. Warranty: 3-year Optoma Express Replacement, 1 Year Lamp Warranty, ORDER LENS SEPARATELY OPTOMA Available Request A Quote! Optoma WU515 Projector WUXGA (1920x1200), 6000 ANSI Lumens, 10,000:1 contrast, 1.8X Zoom, H and V Lens shift, H and V Keystone, 4 Corner adjustment, Display port, HDMI (MHL), VGA In/Out, Wired remote, 13lbs, Warranty: 3-year Optoma Express Replacement, 1 Year lamp warranty OPTOMA Available Request A Quote! 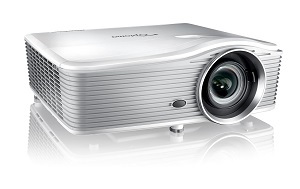 Optoma WU515T Projector WUXGA (1920x1200), 6000 ANSI Lumens, 10.000:1 contrast, 1.8X Zoom, H and V Lens shift, H and V Keystone, 4 Corner adjustment, HDBaseT, Display port, HDMI (MHL), VGA In/Out, Wired remote, 13lbs, Warranty: 3-year Optoma Express Replacement, 1 Year lamp warranty OPTOMA Available Request A Quote! 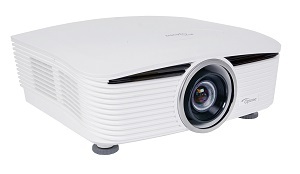 Optoma WU615T Projector WUXGA (1920x1200), 6500 ANSI Lumens, 10,000:1 contrast, 1.8X Zoom, H and V Lens shift, H and V Keystone, 4 Corner adjustment, HDBaseT, Display port, HDMI (MHL), VGA In/Out, 3D Sync out Wired remote, 360 degree projection 14lbs, Warranty: 3-year Optoma Express Replacement, 1 Year lamp warranty OPTOMA Available Request A Quote! 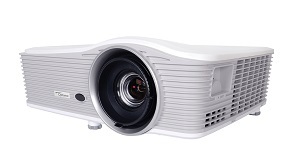 Optoma WU630 Projector WUXGA, 6,000 ANSI Lumens, 4400:1 contrast, Single Lamp, Black Chassis, Power zoom, focus and lens shift, Horizontal and Vertical shift, supports 360 and 24/7 operation, LAN, RS232 control, Warranty: 3-year Optoma Express Replacement, 1 Year Lamp Warranty, ORDER LENS SEPARATELY OPTOMA Available Request A Quote! Optoma X515 Projector XGA (1024x764), 6500 ANSI Lumens, 10,000:1 contrast, 1.8X Zoom, H and V Lens shift, H and V Keystone, 4 Corner adjustment, Display port, HDMI (MHL), VGA In/Out, Wired remote, 13lbs, Warranty: 3-year Optoma Express Replacement, 1 Year lamp warranty OPTOMA Available Request A Quote! Optoma X605 Projector XGA, 6000 ANSI Lumens, 2000:1 Contrast, no lens on base model, V + H lens shift, Full 3d, HDMI 1.4a, DVI-D, DisplayPort, 2x VGA, VGA out, 5-BNC, component (3 RCA), discrete audio in, audio out, 3D vesa port, Crestron RoomView, 18.6lbs, Warranty: 3-year Optoma Express Replacement, 1 Year lamp warranty. ORDER LENS SEPARATELY OPTOMA Available Request A Quote!